Our exceptional 9-hole grass green golf course features lush trees, challenging water hazards and surprising doglegs to make this course exciting for all levels of golfers. The par 35 course measures 3,174 yards for men and 2,946 yards for women. The course features three par 3’s, four par 4’s, and two par 5’s, with well-manicured greens providing a straight, true shot. A practice green next to the clubhouse will help sharpen that short game. The golf club hosts numerous tournaments throughout the season along with many weekly men’s, ladies’, couples and even junior golf nights. 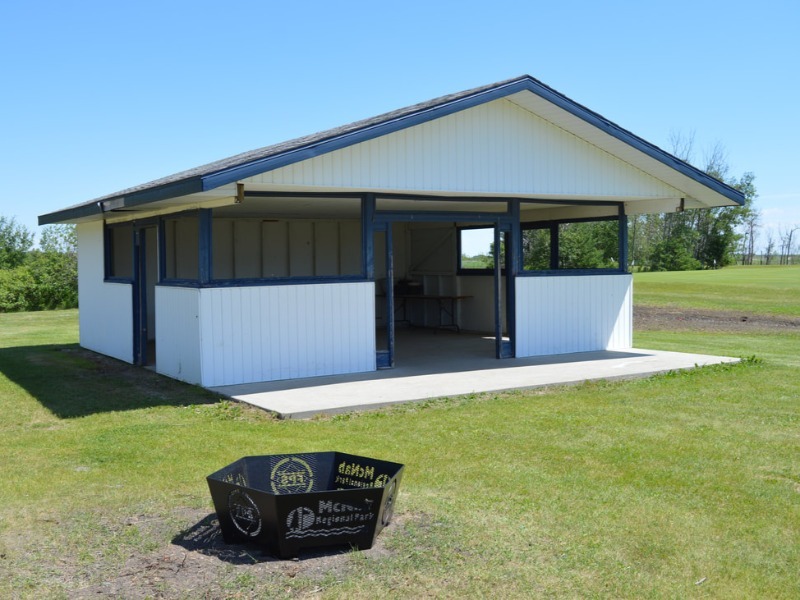 Power carts, clubs and pull carts are available for rent. The Alfred Bourque Swimming Pool is a seasonal, outdoor pool open throughout July & August. Safety is paramount with certified lifeguards on duty at all times during operating hours. We also offer numerous programs and activities throughout the summer such as Red Cross swimming lessons, aquafitness, and Toonie Tuesdays. We have a paddling pool for the little swimmers, wheelchair accessible shower facilities and an outdoor play area. The pool is also available for private rentals outside of normal operating hours. Call the pool's direct line at 306-287-3468! There is a 20 foot tall Santa statue on HWY 5 & 6 at the Watson Community Club Perennial Garden. Watson & District Heritage Museum in downtown Watson is also open for the summer. Any foul and/or abusive language or threatening behavior towards our staff WILL NOT BE TOLERATED! Violation of this WILL result in expulsion from the campground. Check in time will be 2:00PM, Check out time: 12:00PM. If you are late leaving without prior arrangement you will be charged for an additional night. Quiet time 11:00PM – 7:00AM. Consumption of alcohol out in the open is prohibited. 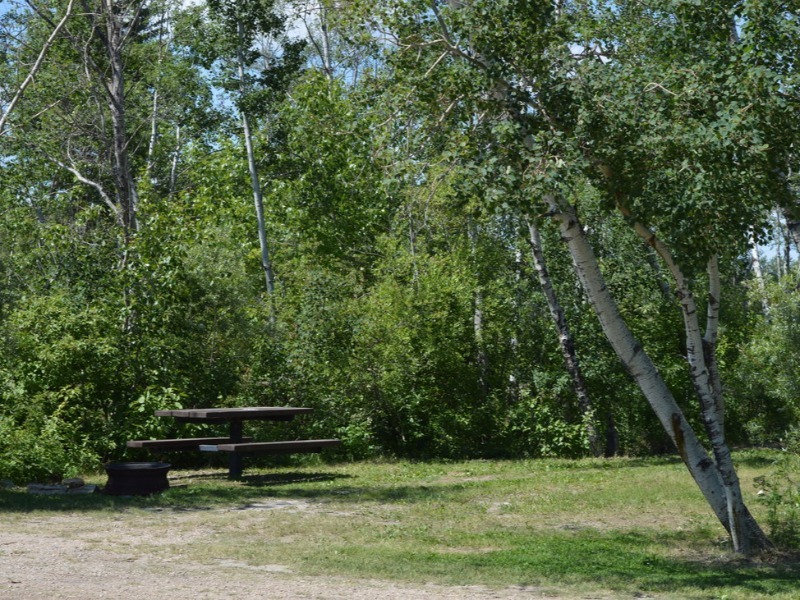 Liquor is prohibited on roads, in washrooms, cook shelters, picnic sites and other public areas. Public drunkenness and rowdiness will not be tolerated and will result in police action and immediate eviction. Smoking is prohibited in the washroom facility. Campsites are only guaranteed for camping nights that are paid for. 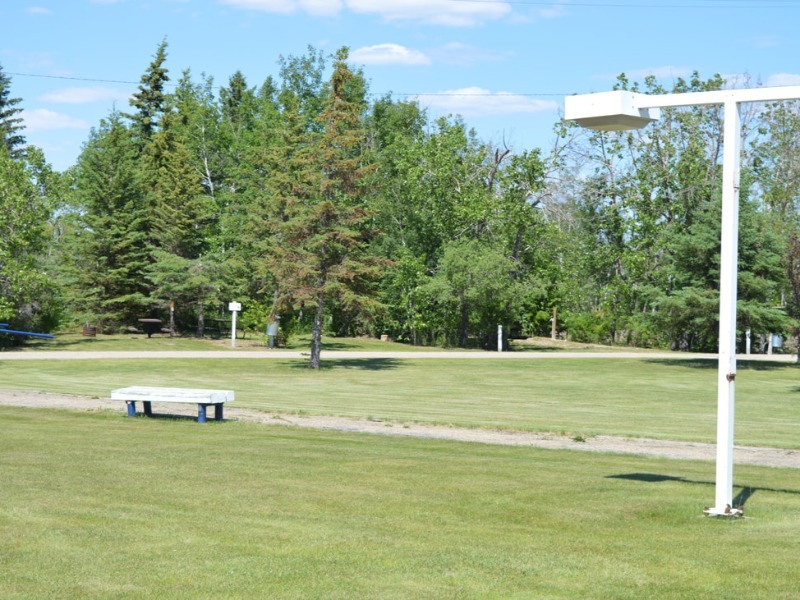 Campground fees cannot be refunded unless staff is given 24 hours’ notice of a cancellation. Liquid and solid waste must be disposed of in receptacles provided. Pouring waste water on open ground or in sump holes dug beneath trailers is prohibited. A sewer dump station is available for your use. No children under 18 years may camp in a trailer by themselves. Parents are responsible for their children and any damages they may cause. Only 2 vehicles per site. All vehicles must be parked on designated gravel areas or in parking spaces. All vehicles must be operable and licensed. Speed limit in the campground is 20km/h. Only one camper or RV and one tent OR two tents per site are allowed (maximum of 2 units per site). Unsightly sites will not be tolerated. Please keep your site clean and free of garbage. 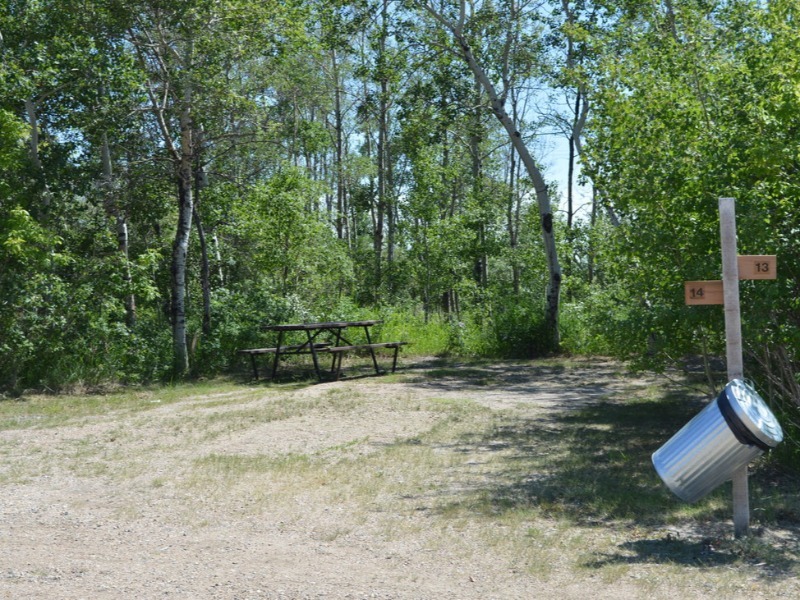 Garbage cans are available throughout the campground for your convenience, PLEASE DO NOT LITTER. Do not damage, cut, or remove trees or bushes from the campsites. Any damage done is an offence and can be charged. Do not use fireworks, sparklers, or caps at the campsite. Build fires only in fire rings provided for that purpose. Firewood must be small enough to fit inside the fire ring. Do not put garbage in fire pits. Do not start fires with gasoline or camping fuel. Keep flammable materials away from campfires. Be sure your campfire is completely extinguished before leaving your site or going to sleep at night. YOU ARE RESPONSIBLE FOR KEEPING FIRES UNDER CONTROL. Campers will be evicted and/or fined if any of these rules are violated. If the nature of the offense is criminal or violates any laws, police will be called and eviction will be immediate. 1. Pets must be kept on a leash always. a) If a pet is found loose, it may be taken to the SPCA or the Animal Health Clinic of Humboldt (Veterinary Hospital). You will be liable to pay the impound and transportation fees. 2. You must clean up after your pet. a) Please bag pet waste and put it in the garbage containers. Do not put un-bagged waste in the containers. 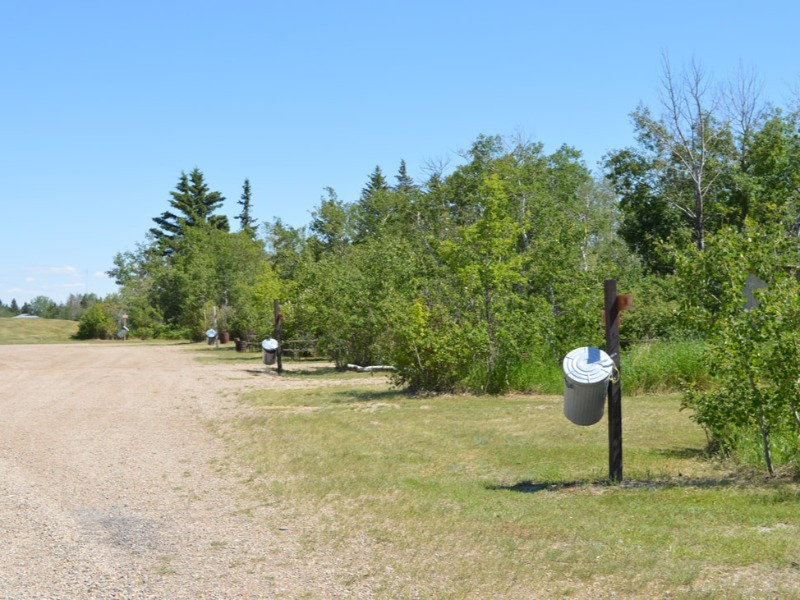 b) If campground staff must clean pet waste from your site after you check out, you will be charged a $10 fine. 3. Absolutely no pets are allowed in clubhouse, pool or on the golf course. 4. Dogs with aggressive behavior are not allowed in the park. 5. Barking dogs will not be tolerated. a) When you leave your campsite, put your dog in the camper or in a kennel. Do not leave dogs unattended in a campsite. Children may cut through the site and encounter a dog trying to defend its territory. Dogs tend to bark or howl for their owners when they are left alone in a strange place. If your dog is howling or barking while you are gone, it is not pleasant for your neighbors. Make sure your dog is inside and comfortable, so everyone else can enjoy their stay too. If you do not comply with the above stated rules, your pet may be evicted. It will be up to you if you leave with your pet or not – as long as the animal is taken out of the park. No refunds will be issued if you must leave for this reason. Dogs will be monitored by campground staff, but it is difficult for them to spot all potential problems. If you feel that a particular pet is causing a problem, please report it to a staff member. It will be dealt with in confidence.